Baha Awisat, a 22-year-old from the Yerushalayim Arab neighborhood of Jabel Mukaber, was sentenced to 16 years in prison Monday for the attempted murder of a police officer in October 2015, at the height of the “stabbing intifada” that the country experienced at the time. The incident occurred in the Nof Tzion neighborhood north of Yerushalayim, with alert police officers foiling, b’chasdei Shamayim, what could have been a major terror attack. In the incident, Border Guard officers, who were alerted by residents about the presence of a suspicious character apparently attempting to enter the neighborhood, reacted swiftly, arriving at the scene and surrounding the suspect. When confronted, Awisat was standing in front of a security wall that surrounded the neighborhood, but one hand was hidden behind it. Police demanded that he show them his hands — both of them — but the terrorist initially refused. After several minutes, the terrorist did present his other hand, but kept it closed in a fist. Police remained a safe distance from the man, but kept their weapons trained on him. Police then demanded that he open his hand and show them his palms. 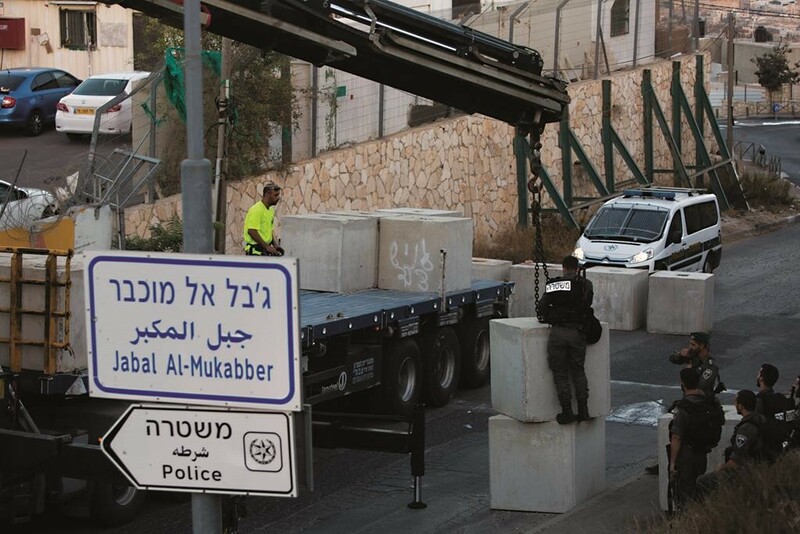 At that point the terrorist asked to be left alone and allowed to return to the other side of the wall, to his home in Jabel Mukaber. Police, of course, refused — and while the terrorist’s attention was diverted, one of the officers crept up behind him, disabled him by grabbing both his hands and forced him to the ground. Within seconds, police discovered why the man had refused to show them his hands: Up his sleeve was a long knife that he planned to use, he told police under questioning, to carry out a stabbing attack in the neighborhood. The court said that even though no one was hurt, a lengthy prison sentence was in order. “The offender and others like him seek to disturb the daily routine of life for people, cheapening the value of life and harming our values. It is an ideology that seeks to turn an individual into a martyr at the expense of others, turning death into a purpose. It is a murderous ideology that is spread like poison among the masses,” the court said, handing down the sentence.